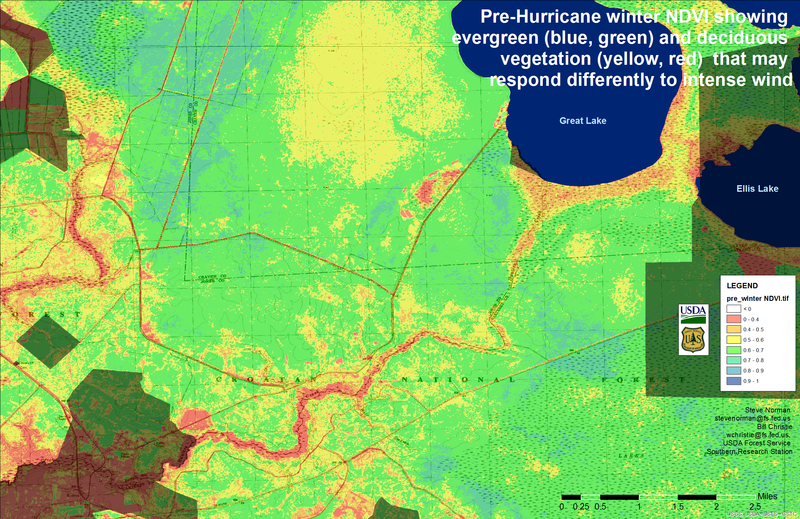 Hurricane impacts to forests can vary greatly depending on the qualities of the storm. 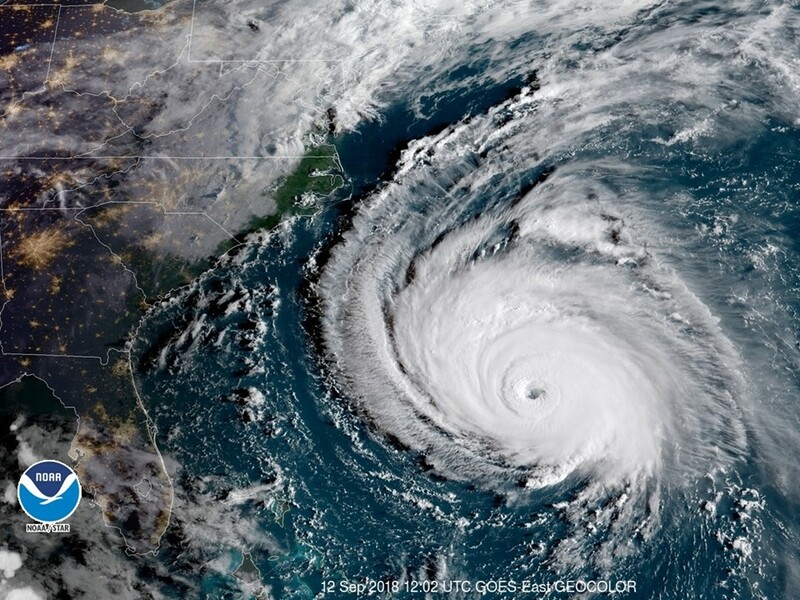 Hurricane Florence stood out for its slow speed and heavy rainfall to the Carolinas, while Hurricane Michael, that crossed Florida's panhandle just a few weeks later in 2018, was a powerful wind-event that passed relatively quickly. 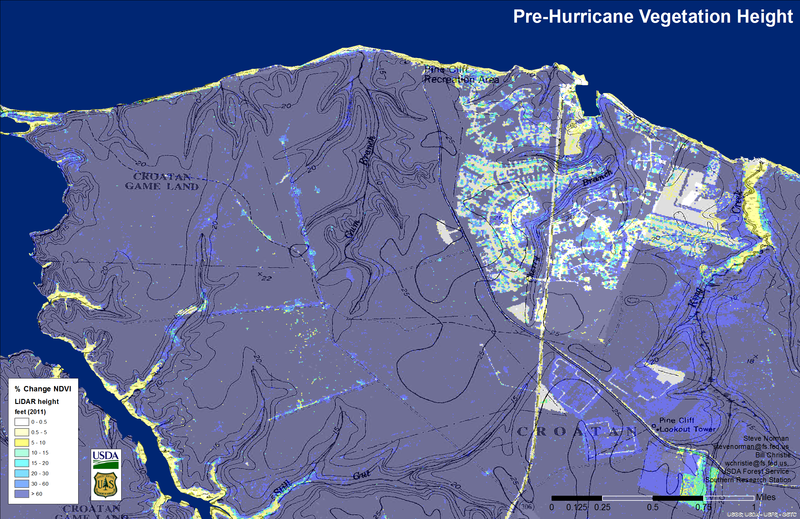 ForWarn II's near-real-time capabilities reveal the initial storm effects, then in concert with higher resolution imagery and ancillary data assessments can discriminate among water and wind impacts more precisely. 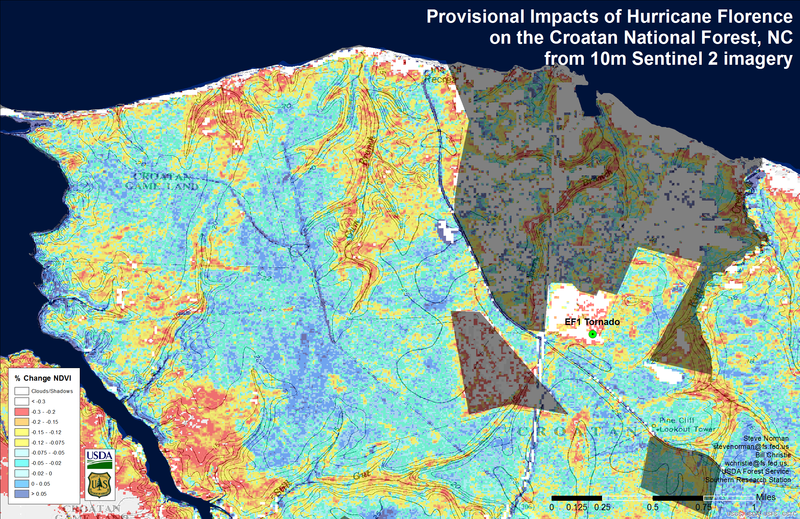 Just a week after the storm, ForWarn II's Early Detect product showed a reduction in NDVI in bottomlands, which was expected given the susceptibility of these sites to flooding. 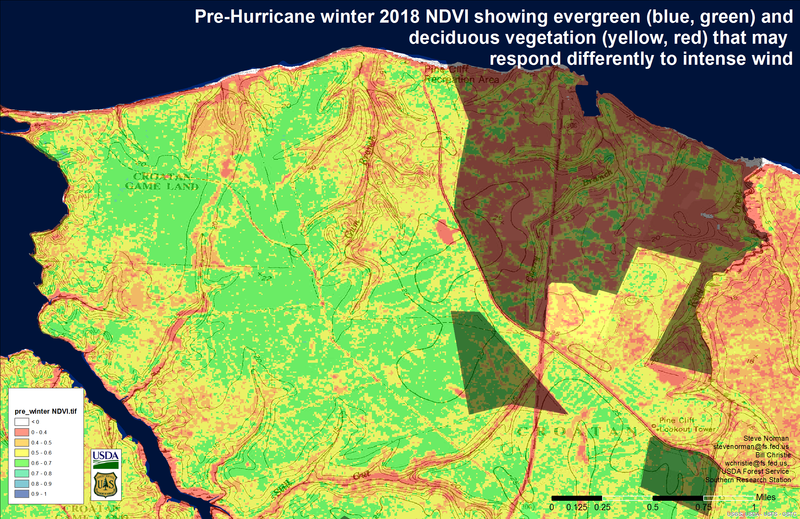 Across southeast NC where the winds were most intense, there appeared to be a general reduction in NDVI that could relate to canopy damage and/or less consequential leaf stripping. 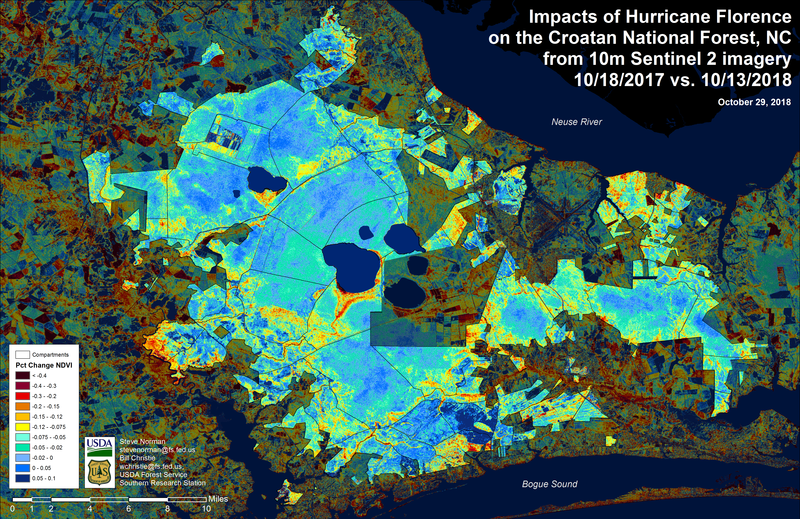 As very high resolution aerial imagery became available, it became increasingly clear that canopy damage was less than that of other storms, with scattered fallen trees and localized areas of leaf stripping where deciduous forests predominated. ForWarn II's viewer now provides a current view from the European Space Agency's Sentinel 2's 10m resolution imagery which can help with assessment, though it often includes partial cloud cover. 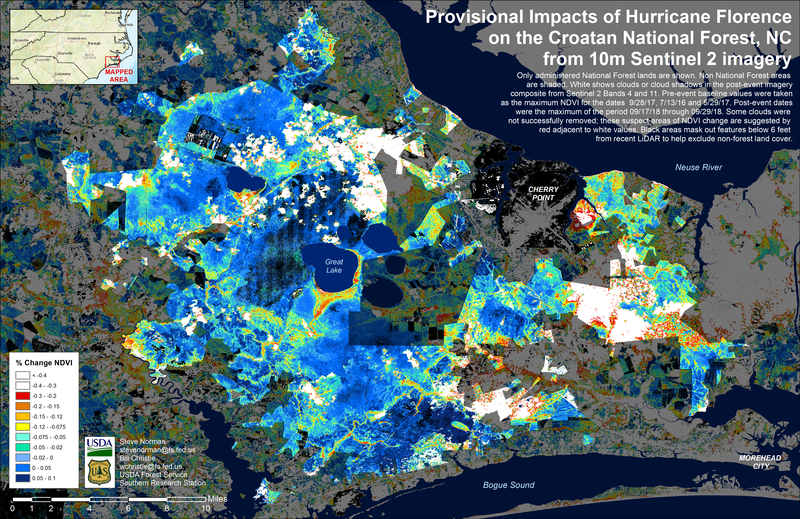 As shown by these slides, a special effort to compare ForWarn II's MODIS change with Sentinel 2 shows strong agreement for the Croatan National Forest in areas without cloud contamination. 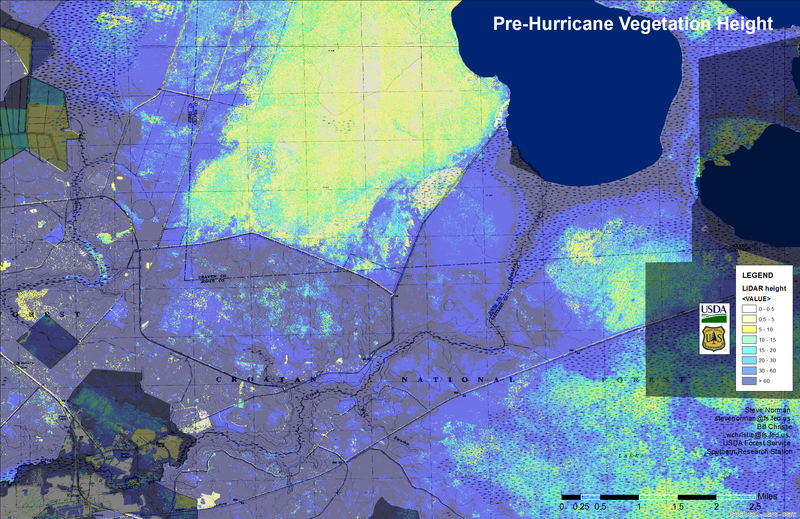 For both Sentinel 2 and MODIS products, NDVI change was largely confined to bottomland deciduous forests. Leaf stripping appears to be the primary cause of NDVI change on these sites, as the loss of leaf cover can reveal standing water in these low lying valleys, especially where the canopy height is low, as shown, or where the canopy is more open. 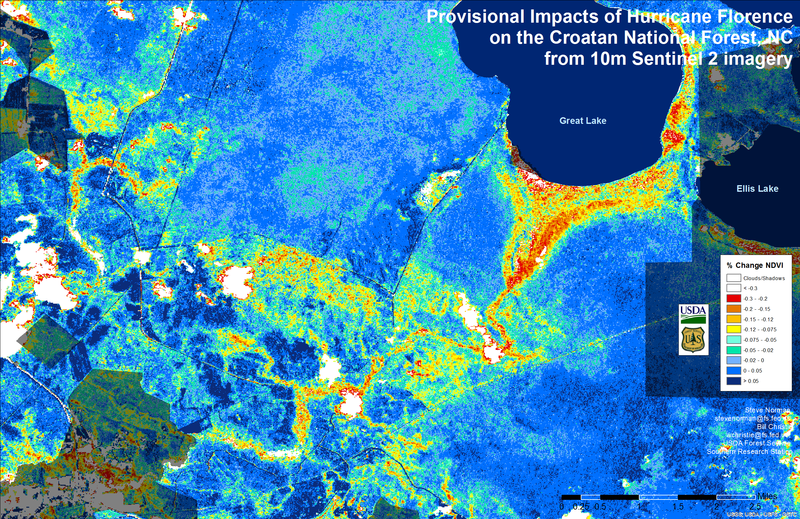 Twenty-four days after the event, ForWarn II's standard 3 week product provided a clearer indication of impacts. 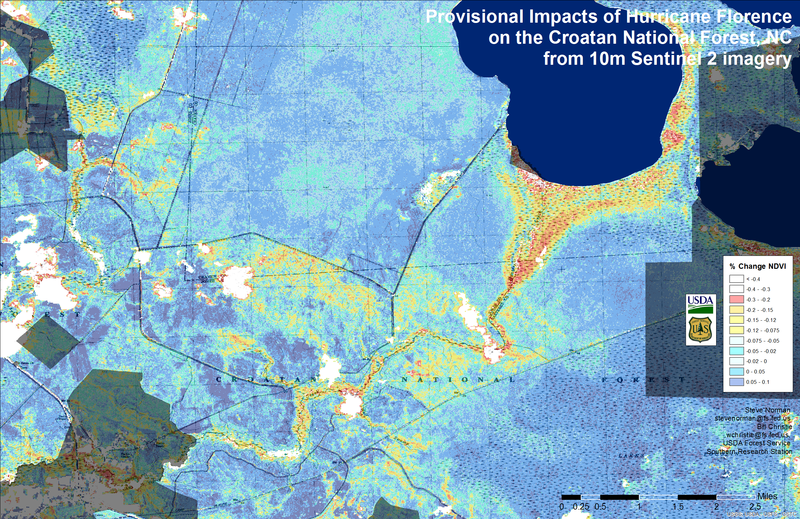 The flood-associated impacts on bottomlands noted immediately after the storm and the broad scale reduction of NDVI in coastal counties remained, but both patterns stand out better against the "normal" blue background. Compared to Sentinel 2, daily MODIS has a much better chance to capture a cloud free view soon after the event, but finer resolution insights are often necessary for understanding impacts more precisely. By mid-October, we received some clear views with more time for damaged vegetation to brown down, but this time of year is a bad time for cross year baselines as slight variation in the timing of fall can make big differences in expectations of normal. 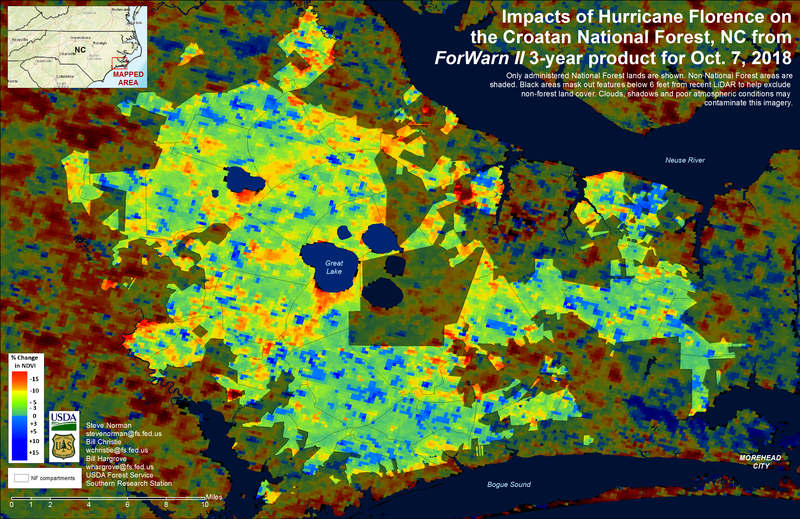 Nonetheless, the Sentinel and ForWarn change products show similar high impact areas, but a more general decline overall.